Apple released the 4th generation of their Apple TV in October 2015. With this updated version Apple now allowed apps to be installed. 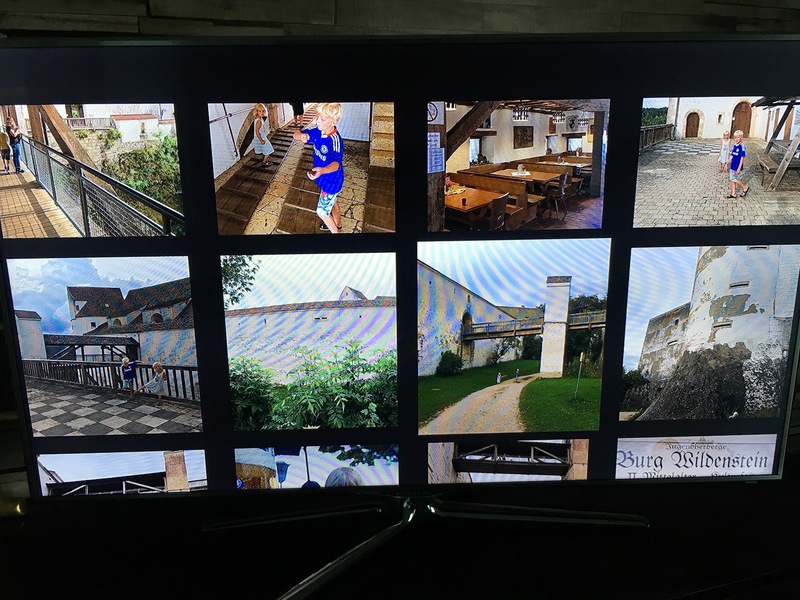 There are several very good apps for the Apple TV. Netflix, DR TV (Danish TV) etc. 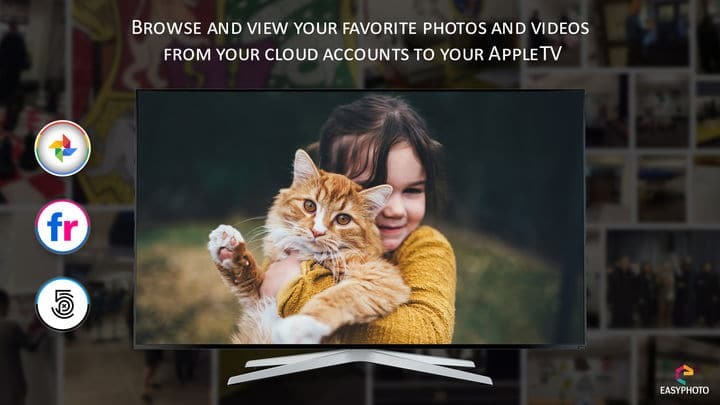 The obvious thing to do was to install an app that could show your photos/videos from your cloud service without the use of Airplay. However, using Google Photos this was not an easy task. I would have thought that a big-time player such as Google would have interest in developing their own app for Google Photos, but unfortunately it was the Google vs. Apple fight all over again. Finally, a couple of apps have emerged and now allow you to show your cloud-stored Google Photos. 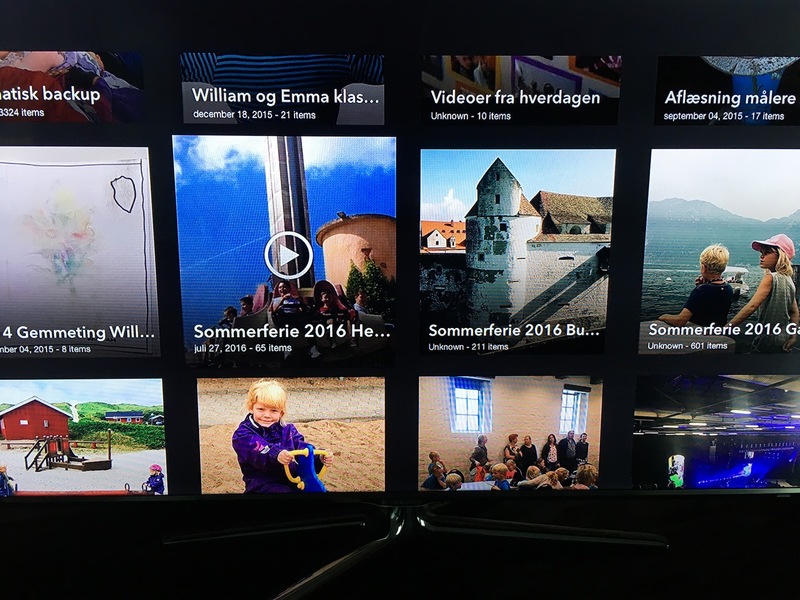 MyPixPo is more or less just a screensaver for your TV, which allows you to display certain folders/album from your cloud service. I’m not really sure why I should have this installed. This installation is rather simple. Just connect with your Google Photo account and the pictures start to float. Easy Photos is definitely the better option. This is more or less the same setup as in the web based Google Photos. You may select “photos” or “albums”. Very nice. There are a few things that hopefully will be changed in upcoming versions. At each start you must select the cloud service that you use even though you have already signed in to the account in the app. Live Photos from IPhone 6s are streamed as videos thus ending at the last frame of the short video instead of the actual picture. I’ve been in contact with the developer and 1) and 3) are being changed as you read this. Please like my site on Facebook, and feel free to share the post as well. If you have any comments just scroll down and send them along. ← Overnatning på vej sydpå til f.eks. Italien (Gardasøen, Livigno) – et kæmpe hit hos vores børn!